Bill's Movie News and Reviews: "College" -- taken by high school kids; but is it really that funny? "College" -- taken by high school kids; but is it really that funny? "College", directed by Deb Hagan and written by Dan Callahan and Adam Ellison, is another one of these campus comedies (particularly another “little movie” from grand old MGM) that at first simply seems to continue a silly genre that must live as an inside track in certain caches of Tinseltown. On imdb, one viewer asked who was paying people to write reviews and favorable comments. MGM? Nobody pays me to write reviews. I just want to connect up a few ideas, and even a comedy like this does that. I didn’t see the filming location in the credits, but there was a lot of sand and pine trees on the campus – South Carolina, maybe? There are plenty of prototypes that a movie like this draws from; “Fast Times…”, the recent “Picture This!” (in TV), the series “Greek”, and a Dreamworks film a few years ago called “Old School.” In fact, compared to “American Pie” movies this romp seems excessive. OK, it shows kids who are supposed to be legally underage doing things for future employers to find on Facebook or Myspace or even on Dr. Phil. Never mind that the “high school” kids are supposed to be on campus for scholarship interviews, and let us say, “The Dean” is not impressed. In fact, in my own life, hazing was actually an issue. 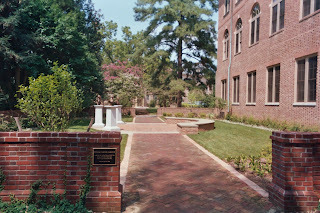 During that lost semester at William and Mary in the fall of 1961, I simply played hooky on the “tribunals,” a mysterious ceremony that freshman boys were supposed to go to in some dorm basement the last Friday night in September. Had I gone, maybe the outcome would have been different. (I’m no swimmer.) The point of these "secret ceremonies" was not so much rebellion as to provide a rite of passage that would "justify" the roles that young men would assume one day in a bifurcated and somewhat unjust society otherwise. That could make for a subplot of a good movie, but it might not be a comedy.